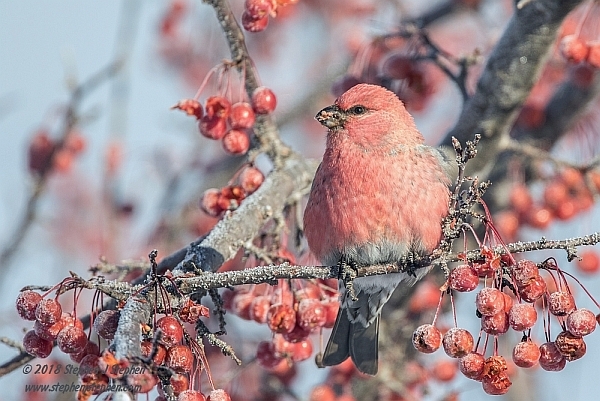 The influx of winter bird species continued around Ottawa during January and February. Evening Grosbeaks could reliably be seen and photographed in several locations and other species like Common, and to a lesser number Hoary, Redpolls were also found. A much rarer species was also seen around Ottawa. There were at least two Gyrfalcons who overwintered in the area. The Gyrfalcon is a magnificent bird of prey and the largest falcon in the world (see below). It normally lives and breeds in the Arctic and tundra regions in the northern hemisphere. The ones that were here this winter frequently hunted ducks along the Ottawa river and then fed on them on the ice. On two separate occasions I watched a mature Bald Eagle steal a Gyrfalcon's prey shortly after it had hunted. Eagles are opportunitic birds and will steal prey when they can. 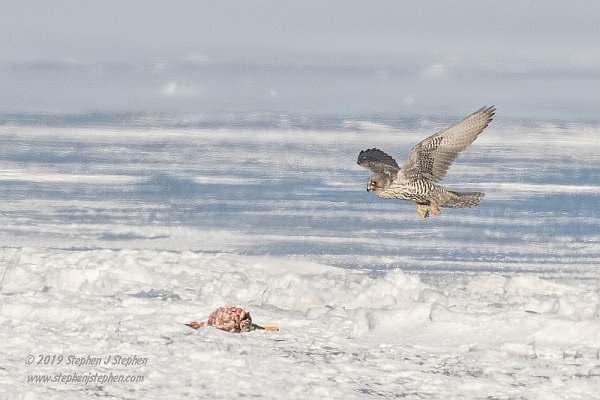 They must have been watching for the Gyrfalcons when they arrived on the ice with their prey. In February I again returned to Amherst Island on Lake Ontario. The island is often a great place to find birds of prey during the winter. This winter was exceptional due to an incredible population explosion of both Red-Backed and Meadow voles. Almost everywhere you looked and walked you could see voles popping out of their snow and grassed-covered tunnels. On our one day trip to the island we saw at least 18 Snowy Owls, 8-10 Bald Eagles, 40+ Northern Harriers as well as many Red-tailed and Rough-legged Hawks. I also visited the Dominican Republic for the first time in February. 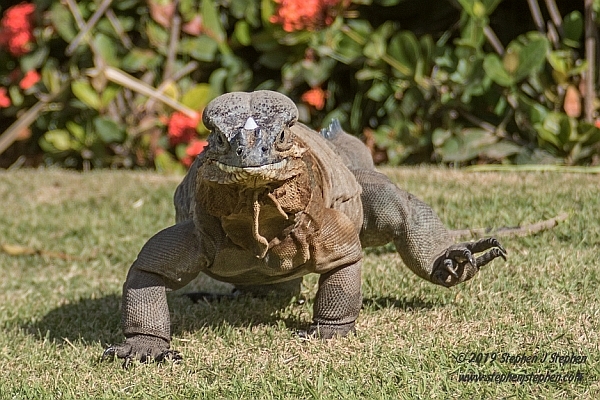 We were attending a wedding but the resort grounds in Punta Cana contained a large number of wildlife species including at leat 6 bird and one reptile species that were life list additions for me. These included: the threathened Rhinoceros Iguana, Hispaniolan Woodpecker, Red-legged Thrush, Antillan Mango hummingbird, White-cheeked Pintail and the national bird of the Dominican the Palmchat. You can view more of my January and February 2019 images by clicking here. November is the time for the White-Tailed deer rut. Bucks are not often seen during much of the year but breeding season has them out strutting their stuff as they search for a mate. 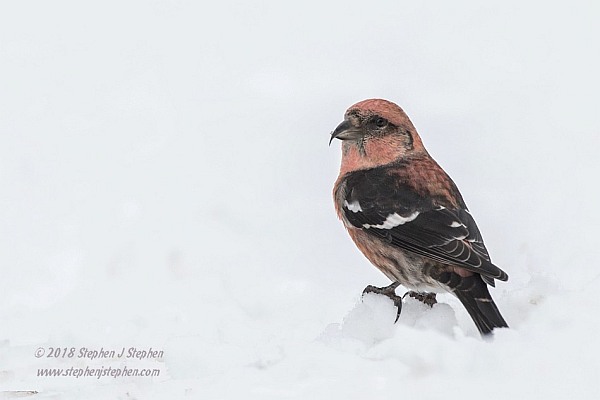 I was able to photograph several impressive males in the cold and snow. On one occasion I also got created some images of a normally secretive coyote as well. You can view more of my Nomveber and December 2018 images by clicking here. Summer and early autumn were very busy times for us. We camped at two provincial parks in eastern Ontario including, for teh first time, Lake St. Peter Provincial Park south of Algonquin. It was a lovely little park and while it did not offer a lot in the way of wildlife photo opportunities we enjoyed our time there. 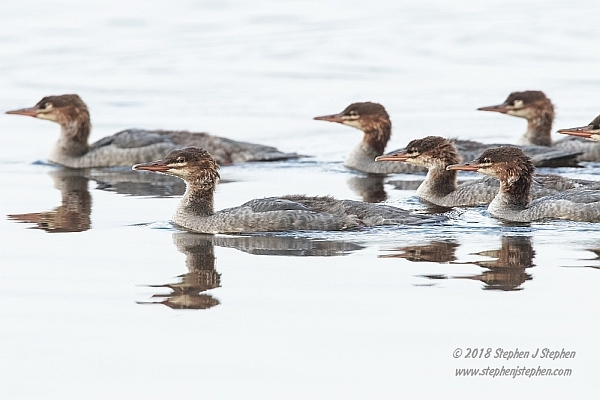 I did get to photograph a family of Common Mergansers which visited the park's swimming beach very early on several mornings as they juveniles and their mother searched for their breakfast. At Murphy's Point Provincial Park I had some wonderful encounters with twin White-tailed deer fawns and their mother. The park was not crowded in mid-September so they could be seen feeding as they moved between the many empty campsites. Unfortunately our 10 day camping trip to Algonquin Provincial Park scheduled for early October had to be cancelled. Our home, and much of Ottawa, lost electrical power for many days due to several tornados that struck our neighbourhood and several others. We were extremely lucky to have the tornado miss our street by about 500 meters. Many people in the surrounding neighbourbood, were not so fortunate, and they suffered extensive damage to their homes. WE did make a short day trip to Algonuin while at Lake St. Peter Provincial Park. Even though our Algonquin trip was cancelled we enjoyed time around Ottawa. A leucistic Black-capped Chickadee visited our backyard feeders throughour September and October. Leucism is a condition in animals where there is a partial loss of pigment in skin, fur, feathers of scales but not the eyes. You can view more of my August to October 2018 images by clicking here. While spring often offers many great photo opportunities, especially for migrating birds, summertime can sometimes be a bit slower unless you put in time exploring. This summer was great on many counts. I broadened my list of subjects to include more flowers and insects. 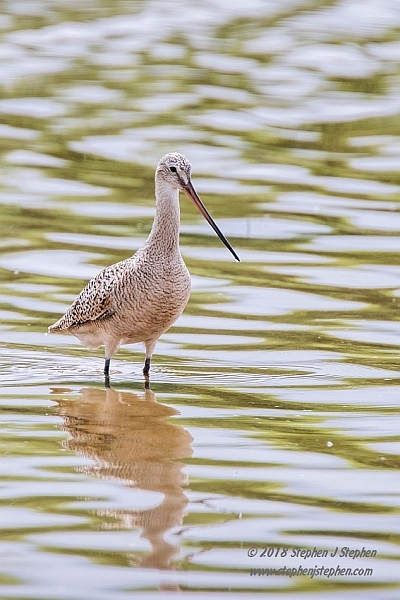 That being said, one of the first animals that I photographed in June was a Marbled Godwit. Marbled Godwits (below) are large shorebirds that normally breed on the prairies as well as along James Bay. This bird was off of its normal migration path and entertained both birders and photographers for a few days before moving on. Many young birds have fledged by June and I was excited to observe some Tree Swallow parents feeding their young with dragonflies while on the wing. Sometimes the younsters seemed to have had enough as the parents had to keep poking the youngster with the food offereing before it would eat again. At opne point an adult Eastern Kingbird appeared above a perched juvenile Tree Swallow. At first I thought tah it would attack the younger bird but the swallow stood its ground. A quick trip back to New Brunswick to visit family, in July, gave me a chance to photograph some seashore scenes and wildlife when I went picking periwinkles with my brother at Maces Bay on the Bay of Fundy. Periwinkles are edible marine snails that many Maritimers harvest for personal consumption. I have fond memories of picking them by hand, with our extended family, as the tide receded on algae-covered rocky shores. We would then have a "boil up" on the beach and sit contentedly eating the salty treats with a straight pin. While harveting the periwinkles I also photographed some Dogwhelks (a.k.a. Dogwinkles) laying eggs on the rocks. Periwinkles eat algae but Dogwhelks are carnivorous feeding on barnacles, mussels and other mareine species. Like other predatory snail species, dogwhelks use their toothed tongue (radula) to drill holes in the protective shells of their prey. I also created a few landscape images while there despite the foggy day. After returning to Ottawa I took out my macro lens on a few outings to photograph some widlflowers and insects. It is always interesting to try and present common wild flowers like clover and daisies in a different prespective. I again photographed the talented First Nations dancers at the Summer Solstice Indigenous Festival in Ottawa. I love the beauty of their dances and the creativity they have in making their reglia. July was spent photographing more birds, flowers and insects. 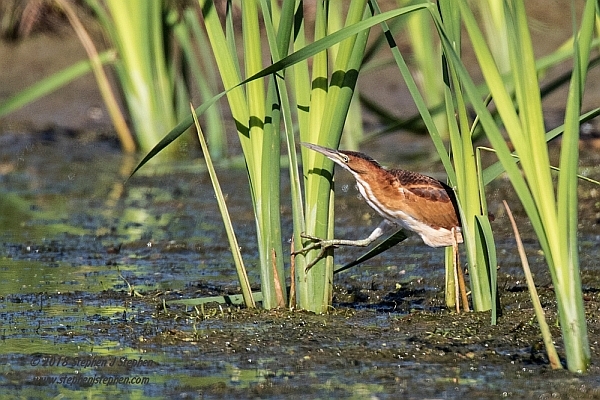 I was excited to be able to create images of both the American Bittern and the Least Bittern (below) two normally shy species that live in marshes. All in all it was an enjoyable summer. You can view a page of my summer 2018 images by clicking here. May brought an exciting time for me. 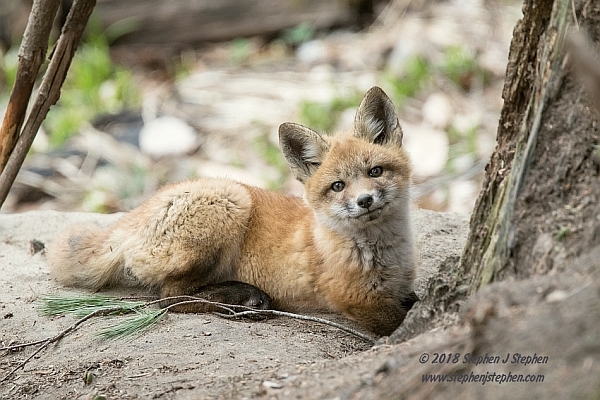 First I have the priviledge to photograph a Red Fox kit that was about 11-12 weeks old. I had been hoping to find for several years. I spent a short but enjoyable time with the very photogenic youngster (see below). Next I took another wonderful photography trip to beautiful British Columbia. Once again I visited friends and experienced much of the provinces wonder. Unlike my 2015 adventure, I started this trip in the greater Vancouver area. Most of the first day was spent at the George C. Reifel Migratory Bird Sanctuary in Delta, BC. The sanctuary is British Columbia Waterfowl Society is a non-profit conservation organization that assumed the stweardship of teh sanctuary in 1963. The wetlands of the sanctuary attract and support a variety of waterfowl and other birds. Within 15 minutes of arriving at the sanctuary I had my first life list addtion,the handsome Cinnamon Teal duck. I also got my first photographs of male and female Gadwall ducks as well. From Vancouver I travelled, with friends into the southern interior of the province in the areas around the town of Merritt and the Douglas Lake Cattle Company (commonly called the Douglas Lake Ranch). 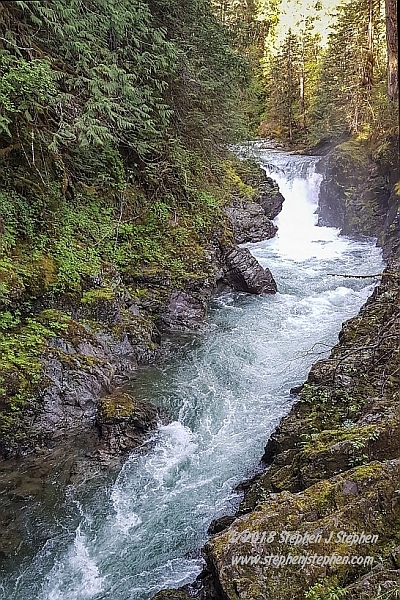 Both places are in the Nicola Valley which is about 270 kilometers from Vancouver. It was my first time to the interior and I found the landscape very different there than the coast. The interior habitat supports a number of species that I had never seen and I was pleased to be able to photograph some of them for the very first time. A stop at the summit of the Coquihalla Highway before reaching Merritt yielding my first Columbia Ground Squirrels. Then it was onto Merrit and Douglas Lake Ranch. The Nicola Valley is cattle country and the Douglas Lake Ranch is likely the largest working cattle ranch in Canada. The ranch was established in 1884 and has been in continuous operation since then. The ranch is enormous with over 270,000 acres directly owned and another 1,000,000 of crown land in use! I found another life list addition shortly after arriving. A Western Meadowlark was perched on a fence post singing away. Later on we found beautiful Mountain Bluebirds. While I had photographed a wayward female Mountain Bluebird several winters ago near Ottawa, I had never seen the spectacular males before. What a treat! Other life list additions included Yellow-headed Blackbird and the Swainson's Hawk. After two days in the interior I headed over to Vancouver Island, on an evening ferry ride, for the rest of my adventure. The weather was exceptional and the sunset viewed from the ferry was spectacular. The next day I spent some time photographing waterfalls in Little Qualicum Falls (below) and Englishmans Falls Provincial Parks. Both parks are near Parksville on the east coast of the Island. As usual Vancouver Island was a pleasure and I have many wonderful memories of the visit. You can view two pages of my May 2018 images by clicking here. 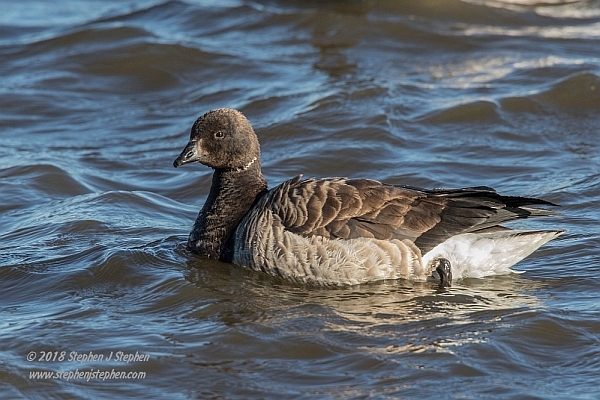 March bought me opportunities to photograph both traditional Canadian winter bird subjects as well as some more southern species while on a week-long trip to the Orlando area of Florida. Each winter I try and make at least one trip to Amherst Island on Lake Ontario. The island is located west of Kingtson and is several hours drive from Ottawa. It is usually a great place to find winter birds, particularly various raptors (owls, hawks & eagles) as well as other species on occasion. During our daytrip there we saw over 10 Snowy Owls, several Long-eared Owls, Rough-legged and Red-tailed Hawks and a special treat for me, a male Northern Harrier. 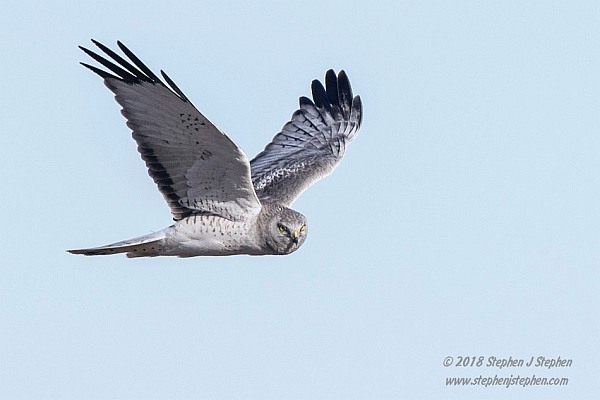 The male Northern Harrier (see below) is also known as the Grey Ghost due to its destinctive grey colouration. Females are more brown in colouration. While I had seen Northern Harriers a number of times before, I never really had any good images of them particularly of the strking male. It was therefore an exciting discovery to find a male Harrier actively hunting near the end of the afternoon. Harriers primarily hunt over open fields looking for mice, one of their favourite prey species. They often glide low over the fields as they scan the ground below them. I watched this male exhibit some interesting behaviour that I had never seen before. Several times it landed on the ground and shortly afterwards took off again with a 'ball'of grass in its talons. After rising a few feet it would drop the grass. I then realised that the "balls" were mouse nests and it was likely hoping that some of these might have adult or young mice or perhaps both. In any event it was a pleasure watching this agile flying hunter in its preferred habitat. My trip to Florida was primarily to enjoy a family vacation but I had planned to spend at least a good part of one day doing some nature photography. If you have ever been to Florida you will know that it can be a birders and bird photographers' paradise. 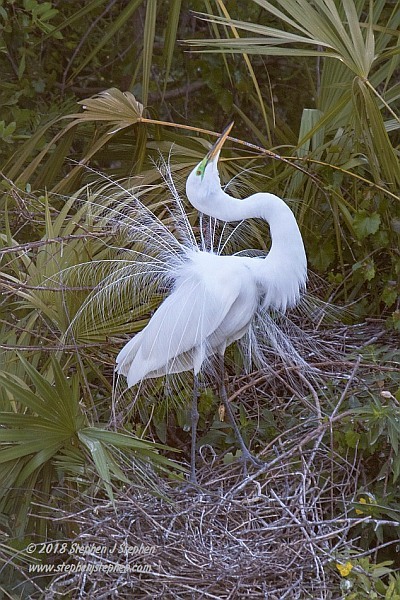 Many species in Florida have started breeding season by March due to the beautiful, warm weather. With this in mind, and with my limited time to create some images, I elected to visit Gatorland in Orlando. While Gatorland is a well-known local tourist destination featuring Alligators, Crocodiles and snakes the ponds and vegetation have led to many species of wild birds making the location an avian breeding colony/rookery. Birders and nature photographers can get into the grounds early to observe and photograph the birds in the early morning light and before the crowds arrive. While early entrants are only allowed access to a specific area of the park that area is fantastic for viewing many of the birds up close. The area includes a long boardwalk that mianders over a large alligator pond around which most of the birds are found. Many of the species that breed there are wading birds such as Wood Storks, Herons (Great Blue, Little Blue and Tricloured) as well as Egrets (Great, Cattle and Snowy). There were other species there too including: White Ibis, Double-crested Cormorants, Black Vultures and others. Because it was the breeding season most the birds were resplendent in their full breeding colours and plumage like the Great Egret below. The birds at Gatorland see people daily so they do not appear to show any fear of humans unlike most of the birds that I photograph in Canada. I was able to observe the rookery birds displaying for mates, flying and collecting nest materials, nest building and raising their young. The raised boardwalk afforded me eye level views of much of the activity. You can view more of my March 2018 images by clicking here. While I did not get out often in January it proved to be a rewarding month photography-wise. Trips to both Gatineau Park in Québec and a long day-trip to Algonquin Provincial Park, Ontario provided great bird phtography opportunities. In particular, I was able to photograph both Wing-Winged and Red Crossbill finches. In both species their bills have evolved to a unique shape where the upper and lower bills are permanently crossed. This permits them to easily pry apart the scales of conifer cones, The birds then use their tongues to extract the seeds hidden inside. During years when mature cone crops are abundent both species can, at times, begin nesting in late December or early Janaury. Snowy Owls returned to the Ottawa area as did other winter species. 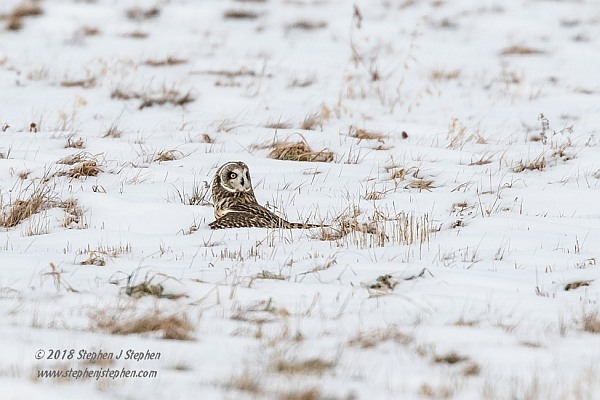 Another very exciting discovery was a small group of Short-Eared Owls that remained in an area of west Québec up river from Alymer, Québec for several weeks. Short-eared Owls often begin hunting near dusk but ocassionally they do hunt in the daytime flying low over open fields. This group frequently began hunting in mid to late afternoon affording viewers excellent opportunities to see their hunting behaviour as they searched for mice in far fields. 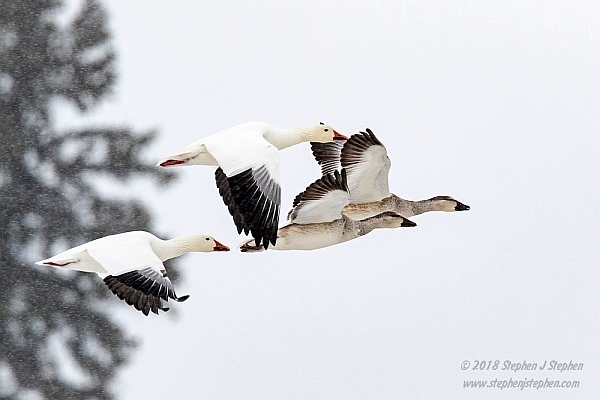 Several times I watched them as the hovered over the snow looking for the slightly movement. Suddenly one would dive down into ths snow to catch a meal. If an owl caught a mouse it would often, like many raptors do, exhibit mantling behaviour. Mantling often involves hunching and spreading wings over a recent kill. They do this to protect their prey from other birds and predators who might possibly steal their food. The owl would often look around for a minute or so before taking off with its meal and flying to s perch where it could eat in peace. While I have been fortunate enough to photograph most of the owl species that live in Ontario I had never before had so many great chances to observe and photograph the behaviour of Short-Eared Owls. Watching these wonderful aerial hunters when they were not harassed or otherwise interfered with during their normal hunting behaviour was a great treat. You can view more of my winter images by clicking here. All photographs are copyright of Stephen J Stephen. Permission is required to use any photograph on this website.